Tra-la-la-laaaaaaa Christmas really is rapidly approaching! Woohoo, we are so excited in Red Ted HQ and can’t wait. 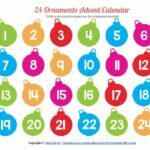 One of our favourite December activities is to celebrate Advent and of course COUNTDOWN to Christmas. 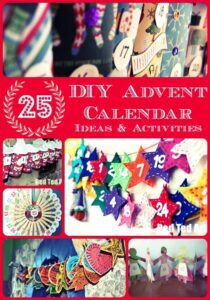 We have lots of different types of Advent Calendar DIYs for you to browse, but today’s Countdown Snowman Printable Craft – is so quick and easy to make. 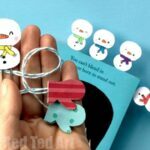 And even better, you can use this DIY Countdown Snowman in so many different ways – as a Countdown Snowman Ornament, as a Countdown Snowman Bookmark, as a Countdown Snowman Greeting Card and more. One design, customised to your hearts content. 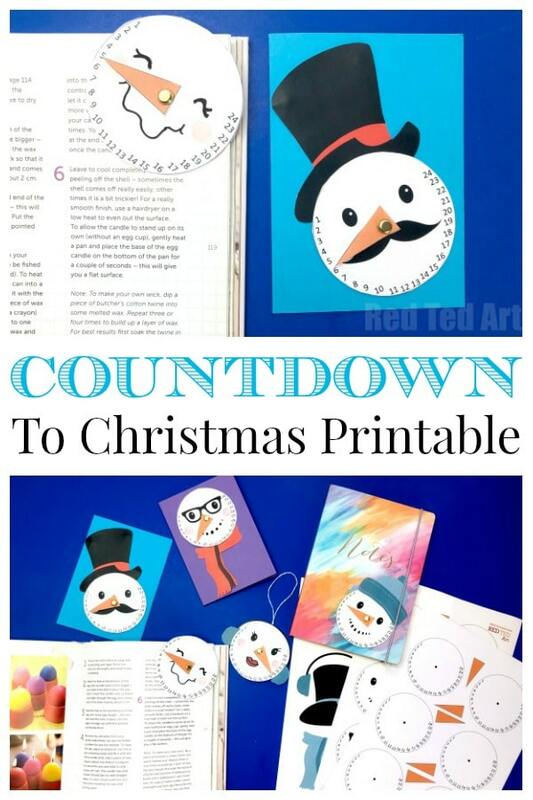 This printable countdown snowman craft is great for in the home and in the classroom. 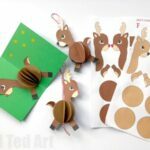 What a cute FREE Christmas Printable for you! My kids’ favourite appears to be the Countdown Snowman Bookmark. Yay. Which is yours? The countdown snowman really is VERY easy to make. Watch our quick Snowman Video How to.. or read the step by step instructions below. Decided on what kind of snowman you would like to make – e.g. 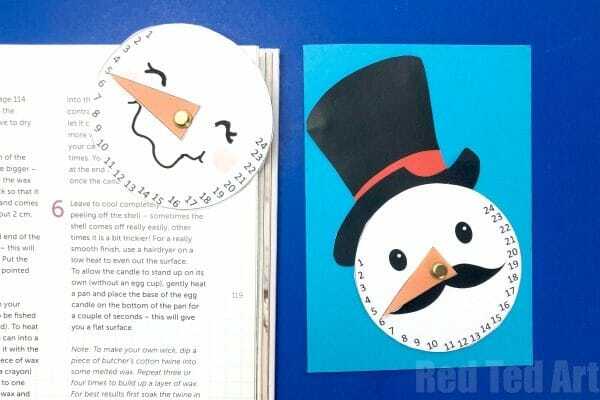 is it a Countdown Snowman Ornament or Card. Also decide how much you would like to customise it. 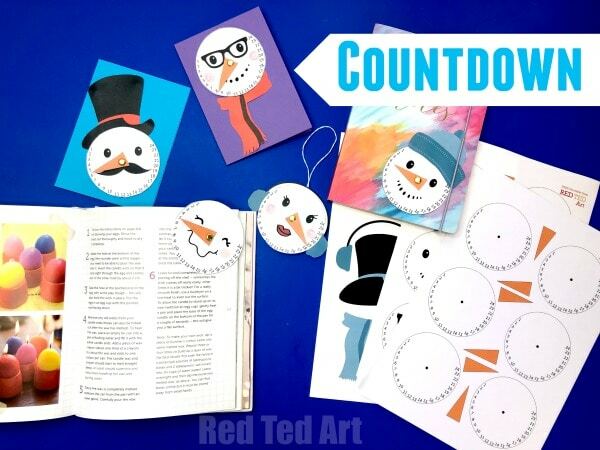 We have some “partially” completed snowman faces for you to embellish, as well as blank snowman countdown discs. 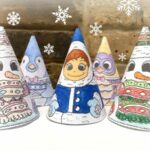 You can also make use of some basic snowman accessories – such as our top hat, scarf and woolly hat. 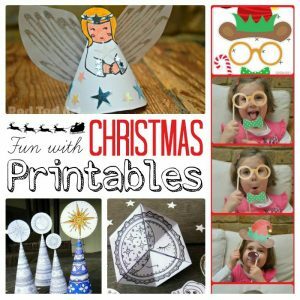 But you can always get some colourful paper and make your own! Make a hole in the nose (a hole punch is great). Use the brad to make a hole in the snowman’s face. Connect the nose to the snowman. The basic Countdown Snowman Craf is finished. Cut out a second white disc of paper and some ribbon. 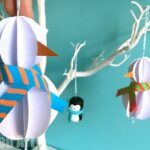 Glue the ribbon to the back of the snowman and then add the second disc. 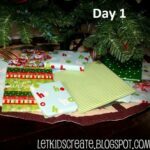 Make a basic origami bookmark. Stick the snowman on it (make sure the snowman overlaps the edges a little). Trim the bookmark into place. 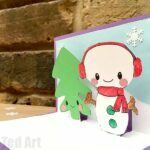 Select some colourful card stock and stick your snowman on! You may want to laminate the countdown snowman first to make it stronger. Then tape a safety pin to the back. Blue-take on your Countdown Snowman. So you can remove it in the new year!